Over the past few months we have heard from many clients who are "crying uncle" over the miserable winter up north, and want to come down to SW Florida to purchase a home. Unfortunately, many clients have either not read our reports, or didn't believe that seasonal rentals are in such short supply. Months ago I wrote that seasonal rental homes for 2015 were fully booked, and that the nicer rental homes were mostly booked for season of 2016. I'm now issuing fair warning again: Book your 2016 seasonal rental yesterday, and consider booking your 2017 soon. Otherwise, you will not be able to find a nice rental home (or even motel/hotel rooms), or you'll pay a high price for inferior accommodations. This tight rental situation speaks loudly about our current and future real estate market. When the next client asks me "how is the rental market in SW Florida?" I will take a deep sigh and forward this report. Sue: See our blog this month about snowstorms preventing Northeast sellers from even getting their homes prepared for Spring selling season. This will push SWFL's "peak seasonal selling season" into May or June. Bottom Line: A $500 K SWFL home today will cost $526 (+19%) more in monthly payments in a year if home prices increase by 10% and interest rates rise by 1% (both reasonable assumptions). In addition, it will require an additional $10,000 cash down payment for the higher priced home in a year. Note: A $440,000 loan in a year (with 1% higher interest) versus a $400,000 loan today would add $121,278 in additional interest over the life of a 30 year loan. If you want to compute the total monthly payment difference on a more or less expensive home, you could use the same 19% approximate difference. Not an insignificant sum!! As we tell clients, "we will be here whenever you need us, and we make a higher commission the longer a buyer waits". 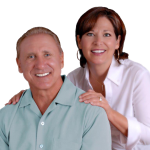 But our clients know that Sue and I would gladly forego a little extra commission in order for our clients to save tens of thousands of dollars on their home and subsequent monthly payments. Unlike the "bust" years in SWFL, million dollar homes are selling well again. Last year there were 20 homes Cape Coral that sold for over $1 million. In the first two months of this year seven homes over the $1M mark were sold or are under contract, including one home listed at $4.5 million. With only two months gone by, all areas of SWFL are on track to exceed 2014's number of Million dollar plus home sales. And 2014 had more luxury-end home sales in SWFL than in any of the previous several years. In November, China and the U.S. signed an agreement to eliminate the hassle of yearly renewals of tourist and business visas. Citizens of both countries will now be able to obtain 10-year visas. 25% of Asians stated that the visa extension would directly affect their decision to purchase real estate in the U.S. The Chinese will affirm their position as the top spender on U.S. homes, according the National Association of Realtors. Spending among Chinese house-hunters nearly doubled from $12.8 billion to $22 billion from 2013 to 2014, as Chinese investors represented nearly a fourth of total dollar volume spent by foreign buyers. Tom: In my opinion this is going to be a monumental long-term economic and real estate boost to the entire country. Chinese buyers have BIG BUCKS to spend, and I envision many of them purchasing vacation homes and businesses in SW Florida. Lee County Building Permits on the Rise: In 2014 Lee County building permits were up to 933. This is in stark contrast to the bottom of the market (2011) when only 373 permits were issued, and equally striking to the 9,000 permits a year during the peak years. 4,000 - 4,500 yearly permits is a stable/healthy figure, so there is much room for new construction to keep growing. All-Cash Buyers in Cape Coral/Ft Myers Rise to 53.9%. However, Miami took over the #1 all-cash buyer position from the Cape last month at 58.1%. 8,000 Baby Boomers Retiring a Day: Many retiring Baby Boomers will be relocating to, or buying a seasonal home in SW Florida. 84% of retirees own a home, and 72% of retired homeowners are mortgage free. Homeowner Tax Breaks Seem Safe for Now: Mortgage interest and property taxes, two major homeowner income tax advantages, appear to be off lawmaker's radar for now. There had been discussions about eliminating or reducing these two major income tax breaks, but lawmakers don't appear to have the appetite to remove or reduce either popular tax break. Tom: if these tax advantages were eliminated it would put a major damper on our economic and real estate recovery. New U.S. Homes Getting Smaller: The U.S. Commerce Department reports that the median size of newly built U.S. homes today (2,385 sq ft) is 106 square feet smaller than the record high of 2,491 sq ft in Sept 2013. Low Interest Rates Locking Some Owners Into Their Current Homes: The historically low interest rates that were available over the past few years is making the decision very difficult for those homeowners to move to a larger or nicer home. This condition is known as "mortgage lock-in". The last mortgage lock-in period was from the mid 1970's to early 1980's. Some owners are able to convert their low interest, existing home into a rental investment home.